When the exuberant spring wildflower display is over, summer challenges us to find eye-catching plants that support wildlife and contribute to a healthy environment. Learn to identify 60 beautiful and functional native trees, shrubs, and herbaceous perennials chosen by our experienced horticultural staff. Through lectures and outdoor labs, examine the key identifying characteristics of each plant, their preferred site conditions and environmental value. 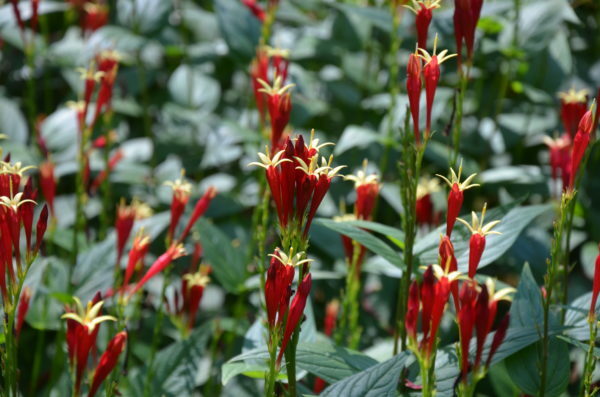 Use this information and expertise when selecting plants for the summer garden. Meets for 6 sessions. There is no class on July 3. Optional exam date is Thursday, July 24, 2019. This class qualifies for the following professional credits: 12 APLD, 6 CNP credits with DNLA, ISA, and 12 NOFA AOLCP. Twelve professional development hours (PDH) have been approved for this class through LA CES. This class meets LA CES standards for HSW subject matter.